Spirit Natural clothing founder Tom Osborne with his mother Gini. Photo: G Jacobs. 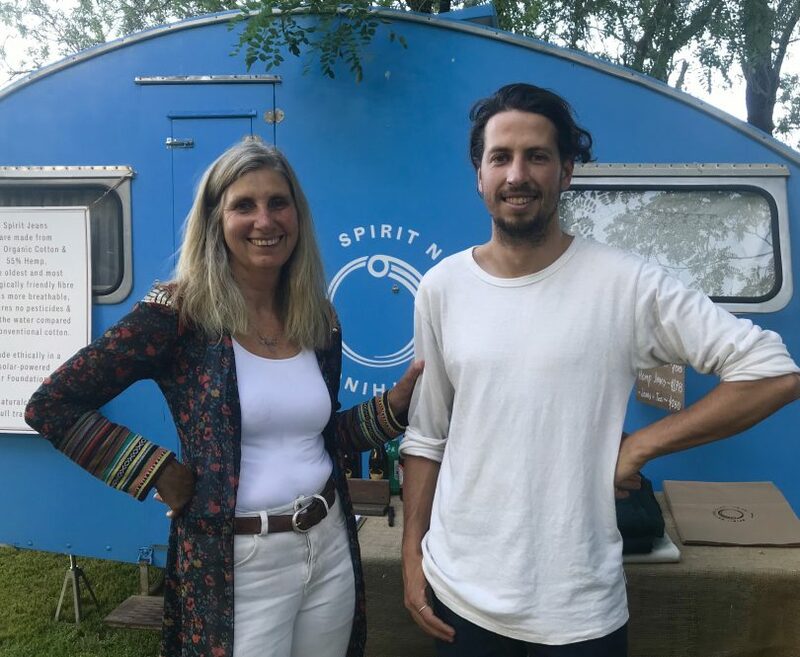 Tom Osborne from Michelago may look like a new generation hippie, but the vision for Spirit Natural hemp clothing came from his work in sales and marketing. “I knew that hemp was a more environmentally friendly fabric but I could see that it had a bit of a PR problem”, he says. “90% of textiles are made from a synthetic oil base or a cotton monoculture which has its own plethora of environmental problems, and I wasn’t seeing many contemporary brands using hemp”. And hemp has many virtues: it grows fast and tall, outcompeting other plants and reducing the need for herbicides. That growth creates long fibre structures that make the fabric more durable, and the plant requires much less water than cotton. Additionally, the crop is regenerative for the soil, adding nitrogen as it grows. The greater challenge was to develop a supply chain, and Tom says putting the pieces together to find suppliers who were working ethically and were accredited wasn’t easy. The journey took him to Hemp Fortex at Qingdao in China. Their factory runs on solar power, holds certifications for organic textile standards, and adheres to EU standards for dyeing and wastewater treatment. “I found them through the Fair Wear Foundation, a European NGO that protects garment workers rights. That in itself took at least a year with a few false starts, but I remember cheering in my room at 5.30 on the morning when the email finally came through from Hemp Fortex saying they’d work with me”, Tom says. Tom and his partner Sammy, who is a videographer, travelled to China to document the process. His mum, Gini, stepped up to make an investment and production began. The first line is small, one style of unisex jeans and t-shirts. Some fabrics are plant dyed including a glowing golden turmeric dyed top. Spirit Natural hemp garments are workwear inspired and designed to be hardwearing. Photo: Supplied. “The market so far has been people who live in coastal environments, people who are connected with the outdoors and are sick of plastic and microfibre pollution. They want natural fibres and they want quality. They choose less but they’re choosing quality”, Tom says. “I want to embody my own philosophy which is based on diversity. If 90% of fabrics are all the same, there’s not a lot of room for seeing what works in our journey towards more sustainable communities and society”. 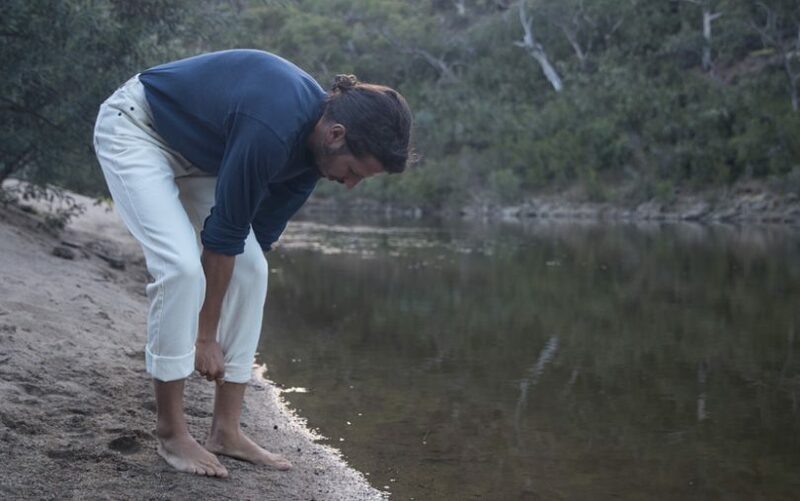 The next steps are a fully plant dyed collection, made in Australia of hemp and organic cotton. Tom plans to keep it simple, but wants to bring in overshirts and shorts, staying with a workwear-inspired theme best described as “anything I can wear out in the paddocks”. Ask RiotACT: Clothing donation bins in Dickson or Belconnen?